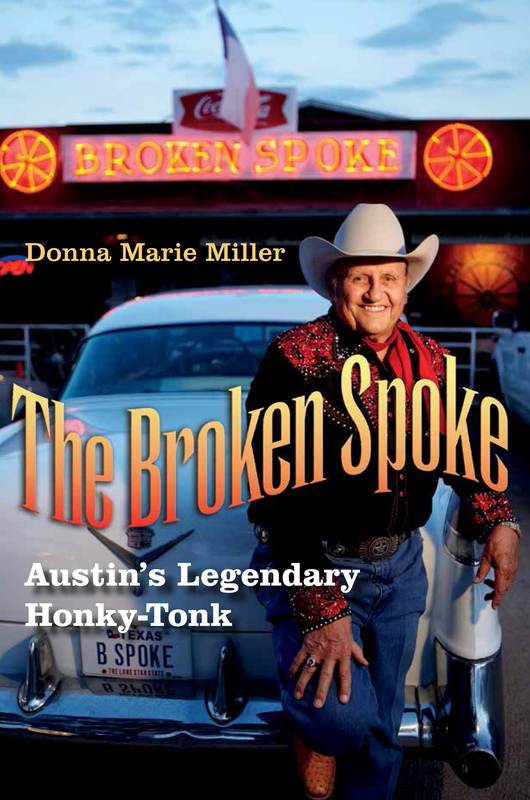 I held the launch party for my book, The Broken Spoke: Austin’s Legendary Honky-Tonk, published by Texas A&M University Press, April 22 at the Broken Spoke, 3201 S. Lamar Blvd. in Austin. All night folks came and bought books and I signed them along the Broken Spoke’s proprietor James White and another photographer, Rick Henson. My son drove down from the University of North Texas in Denton and together he and my husband ran the cash register and printed receipts. I had a cake decorated with an edible photo of the book and the room was filled with flowers that folks sent. My editors from Texas A&M University Press came and bragged about our rapid advance book sales. (Amazon sold out of their first shipment of books on the night of our book launch and ordered more!) TAMU Press editors expect a second printing soon! About the author: DONNA MARIE MILLER is a freelance writer, photographer, and videographer living in Austin. Her work has appeared in Alternate Root, Americana Rhythm, Austin Food, Austin Fusion, Austin Monthly, Creative Screenwriting, Elmore, Fiddler, and Texas Highways magazines. “A great read that revived my memories of my favorite Austin venue”—Rosetta Wills, Author of The King of Western Swing—Bob Wills Remembered. “If you’re feeling too tired to go to the Spoke and scoot your boots, the best way in the world to rest up is to read about it in this wonderful book.”—Eddie Wilson, proprietor of Threadgill’s.